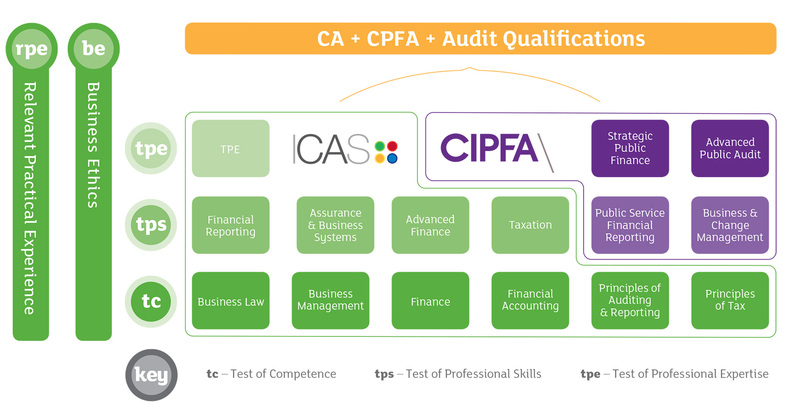 Combining the unrivalled expertise and standing of both the Institute of Chartered Accountants of Scotland (ICAS) and the Chartered Institute of Public Finance and Accountancy (CIPFA), this integrated qualification model will meet the evolving needs of both the public and corporate audit sectors. 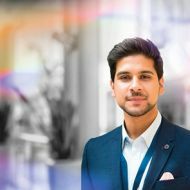 The qualification reflects the evolution of the audit environment and the mixed economy, where public services are increasingly commissioned through private sector contracts, by providing experience to practise across both sectors. It reflects radical changes made to public sector audit in the past few years with the abolition of the Audit Commission and the introduction of a new public sector audit regime. Dual designation from both institutes – Chartered Accountants (CA) and Chartered Public Finance Accountants (CPFA), as well as the award of the qualifications for company audit and public audit. The integrated qualification has a flexible delivery model that can be delivered face-to-face, or as a blended model through the use of technology. Ideal for those practising in both public and private environments. The integrated qualification is suitable for those working or wanting to work within this expanding mixed public/private sector environment. Fast track options for CAs or CPFAs are also available and can be completed in as little as 12 months. This integrated qualification seeks to build on opportunities in the new reality of audit in the UK. This means practitioners will need a wider and deeper understanding to work across public and private sector audits. The integrated qualification of 15 modules comprises 11 ICAS modules which, alongside the relevant practical experience requirements, make up the CA element of the qualification, as well as covering relevant content in the CIPFA syllabus. The remaining four modules are specialist CIPFA modules which allow the student to become CPFA qualified. Once the appropriate company audit and public audit experience has been recorded, the company audit qualification and public audit qualification can also be awarded. A range of delivery approaches are available and ICAS and CIPFA operate as one strategic and operational partnership to create the structure and education delivery model which best meets the needs of modern audit practice. To find out more about this unique qualification, please visit CIPFA IPA, or contact Ann Lamb: alamb@icas.com or customerservices@cipfa.org.